Murakami EGO at Al Riwaq Exhibition Hall Doha, Quatar. 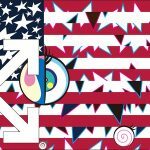 Murakami-Ego features 16 new works, including a 100-meter work created in response to recent natural disasters in Japan. 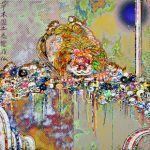 For his first exhibition in the Middle East and one of his largest to date, renowned Japanese artist Takashi Murakami will immerse visitors in a fantasy world that captures his distinct perspective on contemporary culture. Presented by Qatar Museums Authority (QMA), Murakami – Ego will be on view in the Al Riwaq exhibition space, located next to the Museum of Islamic Art on Doha’s Corniche. The exhibition, which functions as a giant self-portrait and offers a look inside the artist’s mind, features new monumental works of art, a variety of multi-media objects and environments, new modes of display, and important series presented in their entirety for the first time. 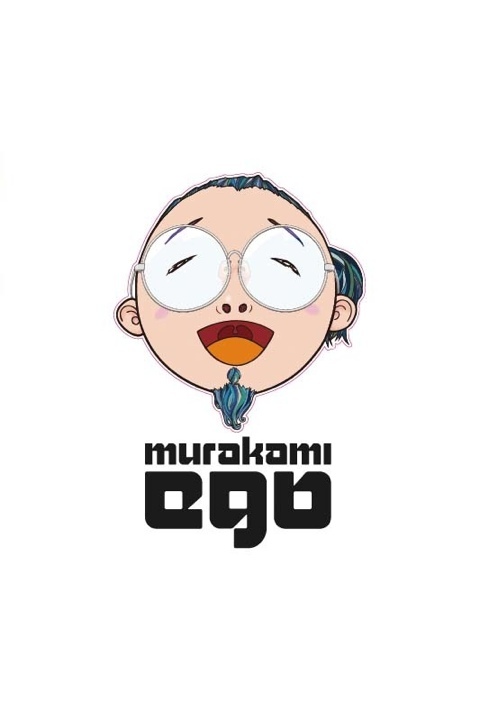 Following major retrospectives at the Museum of Contemporary Art, Los Angeles, and at the Château de Versailles, Murakami – Ego is an exclusive presentation and the final chapter in the worldwide trilogy of exhibitions that have established Takashi Murakami as one of the most fascinating artists working today. Curated by Massimiliano Gioni, the exhibition will feature more than 70 works from 1997 to the present, on loan from leading international institutions and private collections, as well as several new works created especially for this show. The provocative title is drawn from Murakami’s desire to create an exhibition that is “a dialogue with one’s own ego,” reflecting the artist’s struggle to create a private fictional universe in response to a growing information overload. Murakami – Ego launches Qatar-Japan 2012, a year-long series of cultural, sporting and business-related events in Qatar and Japan to commemorate the enduring friendship between the two countries. The events will showcase the unique aspects and the shared interests of each culture, promoting awareness and appreciation of each nation’s achievements. Murakami – Ego features a number of monumental works in a large, nearly 2,300-square-meter exhibition space, as well as 10 galleries containing focused displays of Murakami’s themes and methods. 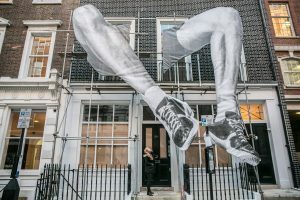 The exhibition gives the impression of walking inside a three-dimensional self portrait, as visitors step inside the mind of an artist that is populated with hundreds of different characters. The exhibition brings together a number of important series within the artist’s oeuvre which have never been fully assembled before, providing a rare opportunity to observe the full scope of the themes and methods which have defined his work. Upon entering Al Riwaq, visitors immediately encounter the artist in the form of the massive Self- Portrait Balloon (2012), a 6-meter high inflatable sculpture. 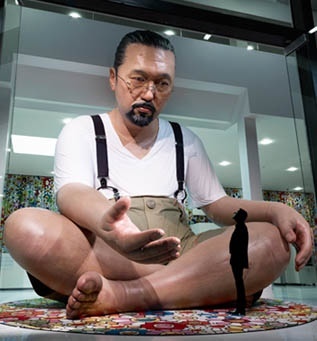 In a striking difference from his signature anime-inspired style, Murakami depicts himself realistically, dressed in everyday clothes with the posture of a giant Buddha sculpture, extending his hand outwards in a gesture of greeting. For the exhibition, Murakami also has been able to realize his largest painted work to date. 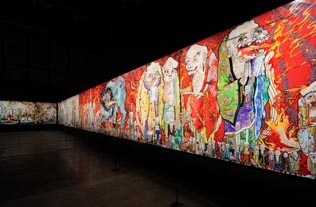 The 500 Arhats (2012), stretches 100 meters, wrapping around three sides of the main gallery space, and is divided into four 25-meter sections devoted to wind, forest, fire and mountain. Conceived as a response to the recent natural disasters in Japan, the work draws on traditional historical painting to create a contemporary monument to the power of nature in Japanese life. Inspired by paintings produced by Japanese monks over 600 years ago in response to earthquakes, floods and political turmoil of the period, the work is a stylistic departure for the artist. 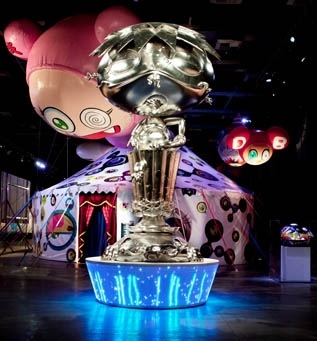 Another grand work created for the exhibition is a massive circus tent that serves as a theater for Murakami’s recent animated films. Covered with the artist’s signature Eye pattern, the tent epitomizes how Murakami uses mass entertainment to convey serious content. A number of the artist’s inflatable sculptures also are on view, including the actual Kaikai Kiki balloons featured in the Macy’s Thanksgiving Day Parade in New York. For this presentation, Murakami has conceived of the exhibition itself as a work of art, creating new modes of display that include sculptural pedestals with digital animation. In another departure, Murakami – Ego will offer a behind-the-scenes look at the artist’s process of creating a large-scale sculpture, with hundreds of drawings, models and studies for a new Daruma work. Inspired by the grotesque legend of a pious monk whose image evolved into a good luck charm, Murakami reclaims the original intensity of Daruma with an expressive, distorted figure, covered in dozens of screaming mouths. The exhibition features the entire cast of characters from Murakami’s universe—like Mr. DOB, Kaikai and Kiki, and Oval Buddha—whose distinct personalities evolve over disparate works from cute to terrifying. Also on view are complete series like Pom & Me, a mock-heroic, manga-style depiction of the artist and his real-life dog produced in gold, platinum, bronze and carbon fiber. 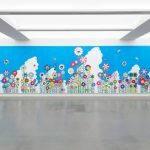 Murakami’s signature smiling flowers are also represented in paintings, sculptures and curtains that drape the entrance to the exhibition. 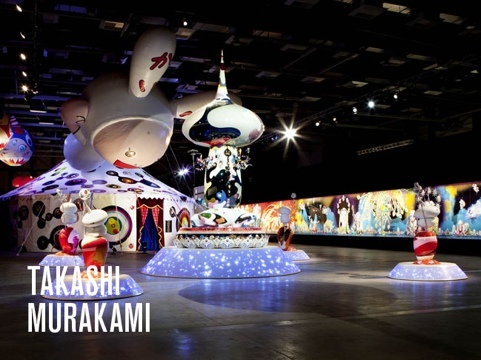 This entry was posted in EXHIBITIONS and tagged Doha, Murakami, Takashi Murakami. Bookmark the permalink. 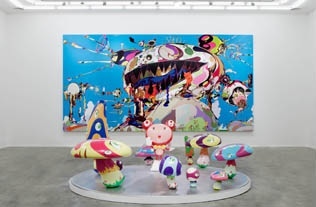 TAKASHI MURAKAMI Change the Rule!